Kelly Hora, L.Ac.,Dipl.Ac. is a National Board Certified and WI State Certified acupuncturist specializing in Japanese and Five Element Acupuncture. She holds a Master Degree in Acupuncture from the Traditional Acupunture Institute in Maryland. Kelly specializes in emotional and mental health, stress-relief,and rehabilitative care. Her work with anxiety, depression, trauma relief and addiction recovery has been widely recognized and compliments traditional psychotherapeutic and counseling work. She founded and coordinated the Madison Veteran’s Project from 2006-2012 which offered free, community-style acupuncture to veterans and their families. In addition to her private practice, Kelly provides services at the UW Paul P. Carbone Comprehensive Cancer Center and is part of the UW Health Integrative Medicine Program. She is president of the Wisconsin Society of Certified Acupuncturists (WISCA). Kelly has a BA and MS degree in Biology. She has lectured and offered public speaking engagements in the filed of Acupuncture. 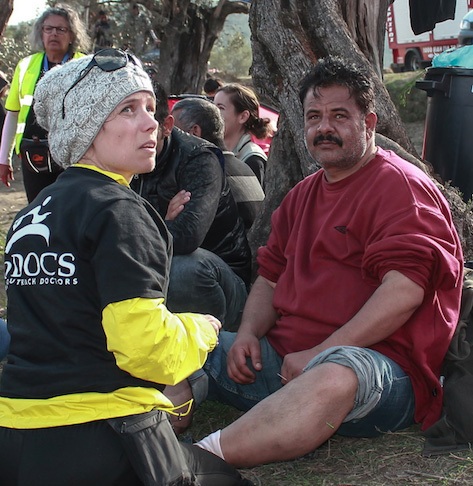 Kelly deployed with GoDocs to assist with medical treatment of refugees for the crisis in Levos Greece in 2015.